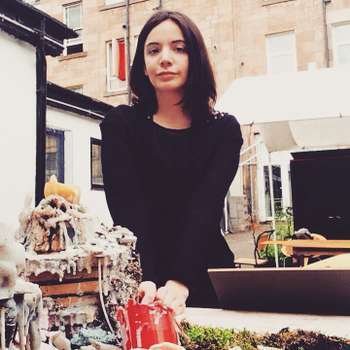 Born in Glasgow in 1991, I am a graduate of Gray’s School of Art, where I achieved a BA (Hons) in Painting together with a number of accolades including the SPD Ltd. Annual Painting Award 2013 and the Morrison Construction Award, 2014. My recent work revolves around the concept of place and how it can be sculpted and transformed by the experiences of the inhabitant. Whether it be Glasgow high-rises, ghost towns in Loch Fyne or Grecian holiday resorts, I strive to ensure they are represented with a boldness and vibrancy that their inhabitants know they evoke. Through personal experience, research and accumulating accounts from previous residents of my sites, I have explored the abstraction that occurs in a place once the intimate codifiers and household item are removed, or altered, and the emotional tug that comes with saying goodbye to a place you have identified as home. I have set up a studio in Southside Studios, where I work on self-directed projects and commissions on a daily basis. My work has also featured at the Archie’s Art exhibition on November 12th – 13th and Shawland’s Arcade Art Village exhibition on 14th November, 2014. I have recently became involved with a visual artist network called The Locale, which features a community of artists whose practice revolves around the subject of place and its universal influence.